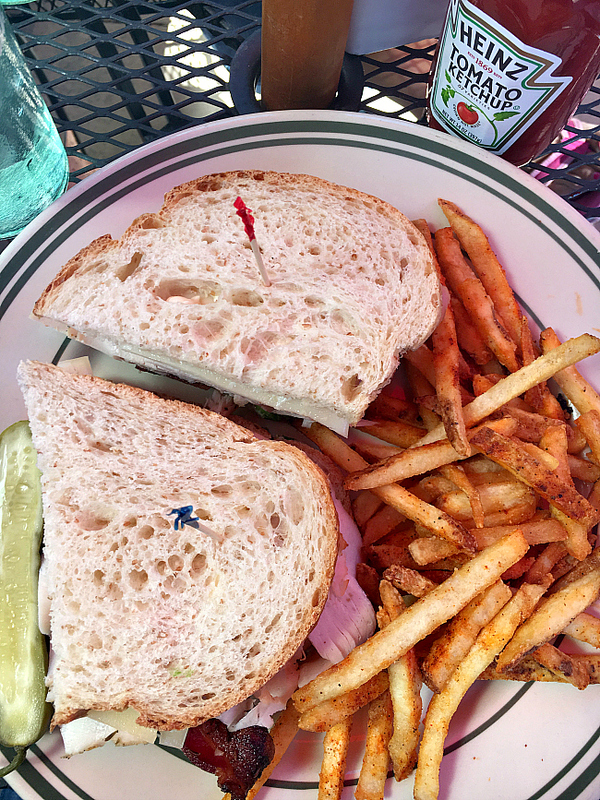 A Peek at the Fun: If you’re headed on vacation to Utah, this guide will help you know fun things to do and places to eat in Park City. 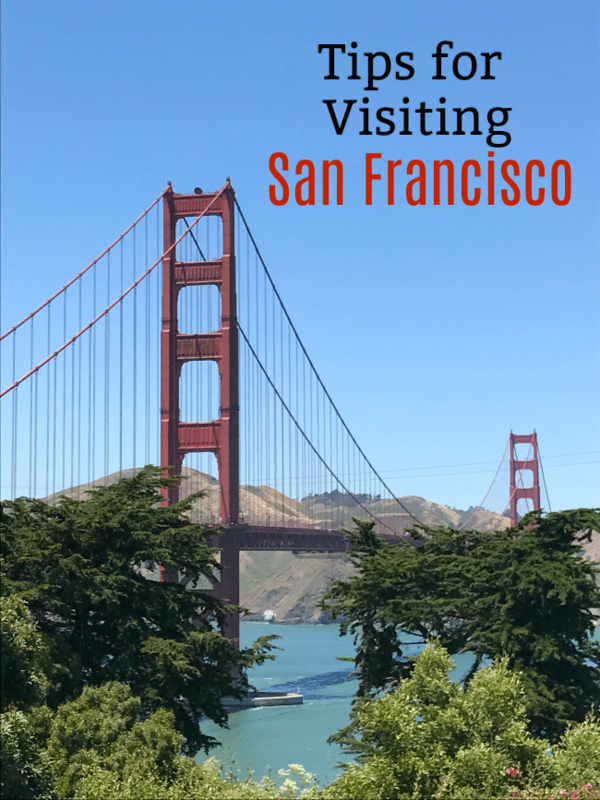 It’s a perfect vacation destination with a lot of fun activities and great food! 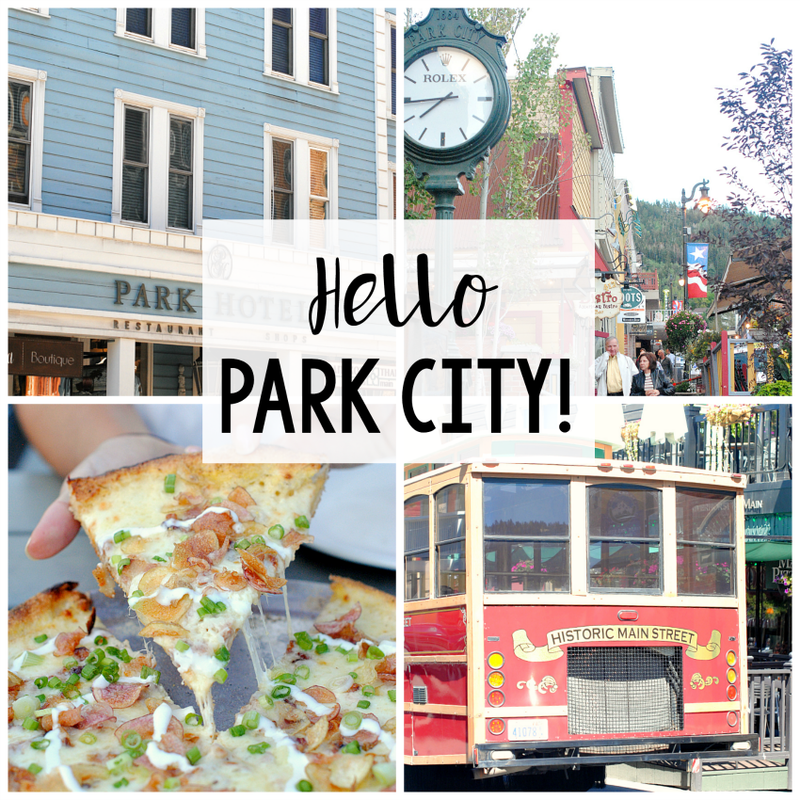 Have you ever been to Park City, Utah? Have you ever heard of Park City, Utah? If you answered no to either of these questions, we would encourage you to change that! Park City gained attention from the world when they were one of the cities to help host events in the 2002 Winter Olympics. They also help host the Sundance Film Festival every year. There are so many activities offered in this little “ski town” that it could keep you busy for weeks. Park City is probably best known for it’s world-class skiing, which it definitely offers, but is also home to a bunch of summer activities as well. 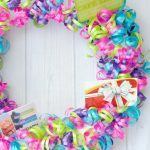 We took a trip there and want to share our ideas of fun things to do and places to eat in Park City! 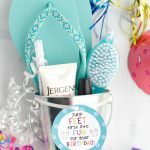 We just went for a girl’s weekend and had a blast. Autumn was in full swing when we went, and the colors on the trees were spectacular! The weather was perfect for us, so we were able to enjoy the fresh mountain air and all of the fun outdoor activities. We had a blast. 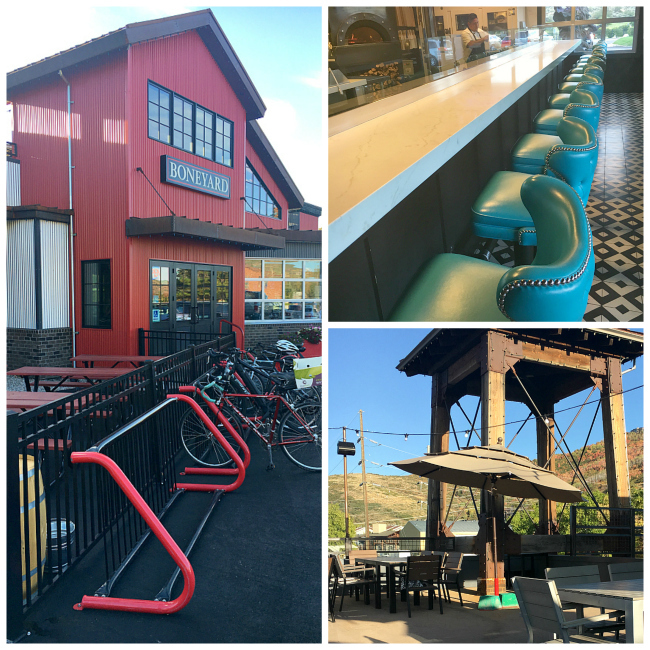 Let us introduce you to a few things to do in Park City, Utah and see if we can convince you to come!! 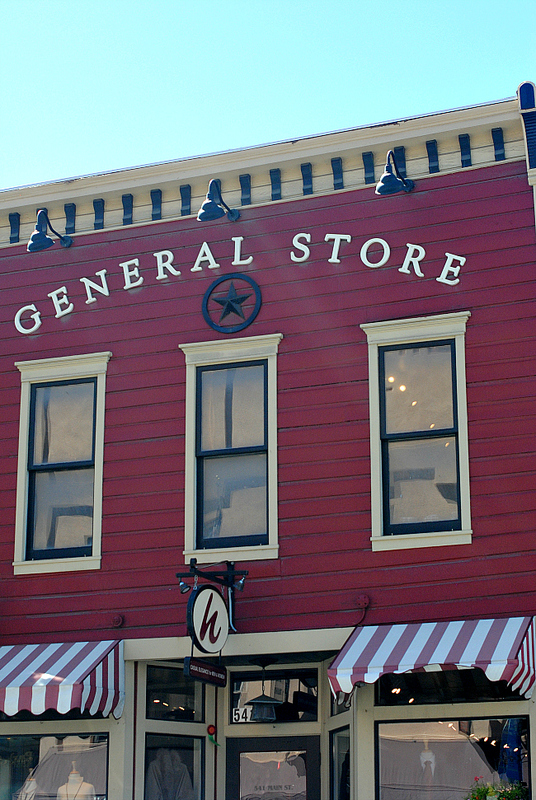 Historic Main Street in Park City is a must do! It’s home to dozens of restaurants and shops…all worthy of a drop by! It’s a quaint little street lined with paver sidewalks, perfect for strolling. Whether you’re in the mood to knock-out some serious shopping or would rather window shop…this street will not disappoint. 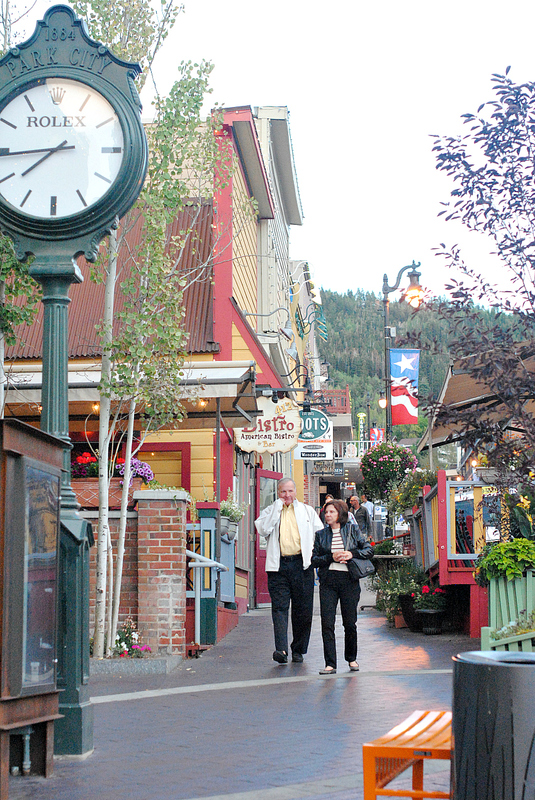 Original boutiques, art galleries, jewelry shops, 5-star dining…Historic Main Street has it all! 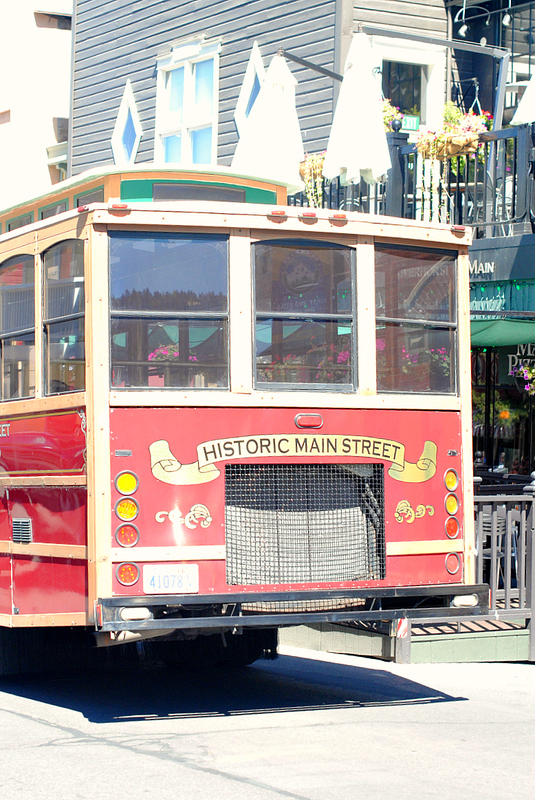 You can even travel in style in this old time trolley…so fun!! 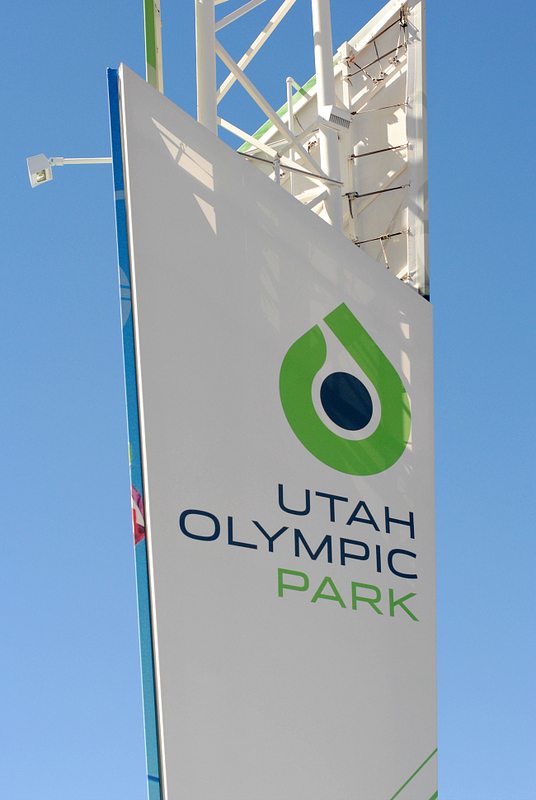 Park City hosted several Olympic events in 2002 here at Olympic Park. 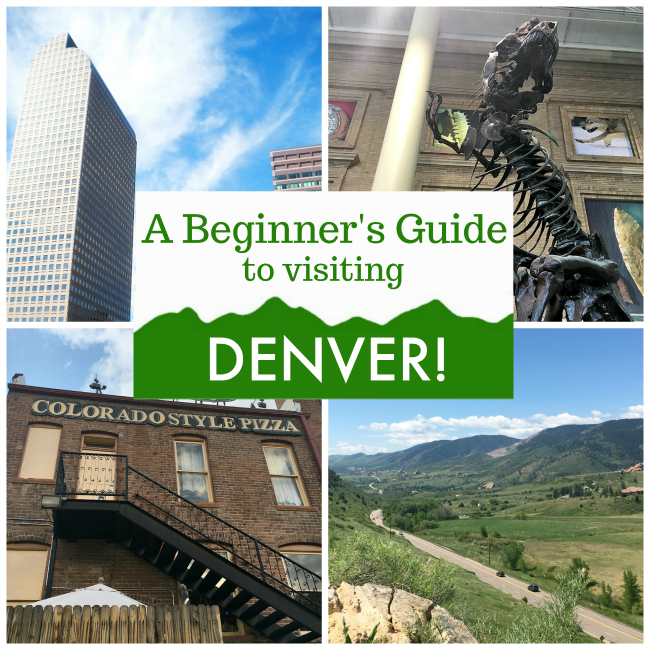 This is such a fun place to come, especially if you have kiddos. This park is open year round and has several activities with something for everyone! You can tour the main building with memorabilia from the Olympics, including the Olympic Torch, medals, information about the athletes, and much more. 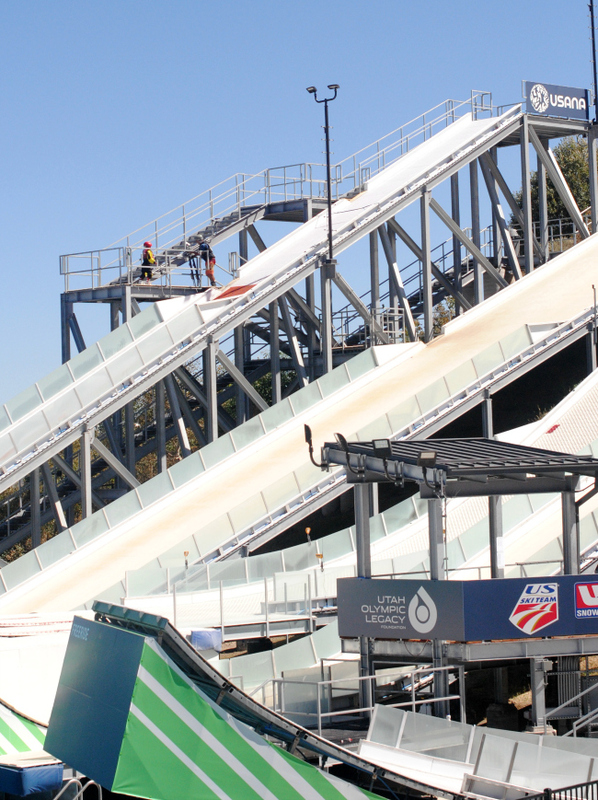 Come watch the athletes practicing their ski jumps. They use this ramp to gain enough speed to practice their flips and turns, landing in a pool. Depending on the time of year, you can watch Olympic athletes practicing, this training facility is still used. When we were there, we saw some kiddos being coached…they were fun to watch. Alpine Slide– For this ride, you take a ski lift up the mountain to the launching off point. You are given a sled type cart to sit in, which is placed on a metal track. The sled has a break so you can control the speed, and if you have little ones, they can ride with you! It’s a really fun ride! Zip Lines– Again, you ride the ski lift up to your jumping off point. You walk to the platform (no climbing) and are then hooked to a harness. All of the work is done for you, all you have to do is fall! Extreme Zip Line– This one is higher and requires climbing up to the launching off point! Extreme Tubing– Just what it sounds like. Tubing down a mountain reaching speeds up to 50mph…such a rush! They also offer a ropes course, guided tours, scenic ski lift rides, and more! You can definitely spend an entire day at this park. 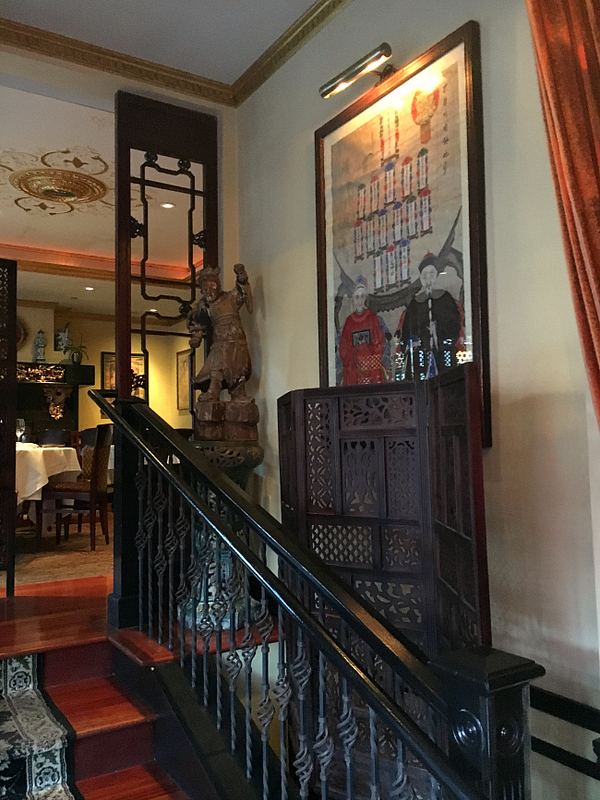 We tried to go to as many restaurants as we could fit in…it was a tough job, but we are willing to sacrifice for the blog! 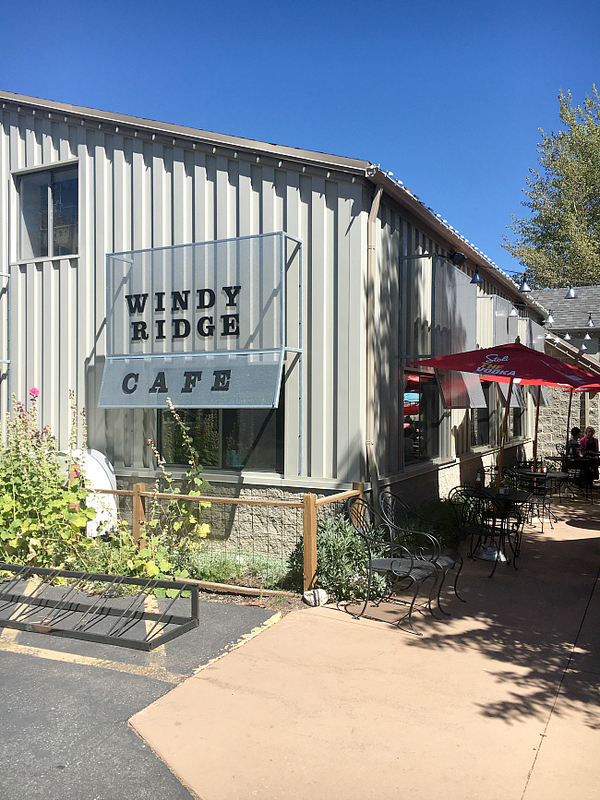 This is hands down Danetta’s favorite restaurant in Park City…and possibly anywhere! Wahso is an Asian inspired restaurant, with a unique menu and an amazing chef. We usually try to hit this restaurant any time we are in town and have never been disappointed. It’s fine dining at its best-fantastic service, beautiful atmosphere, and a world-class menu! 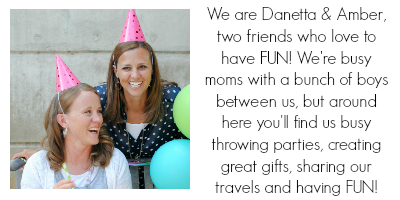 Have we mentioned it’s Danetta’s favorite!? 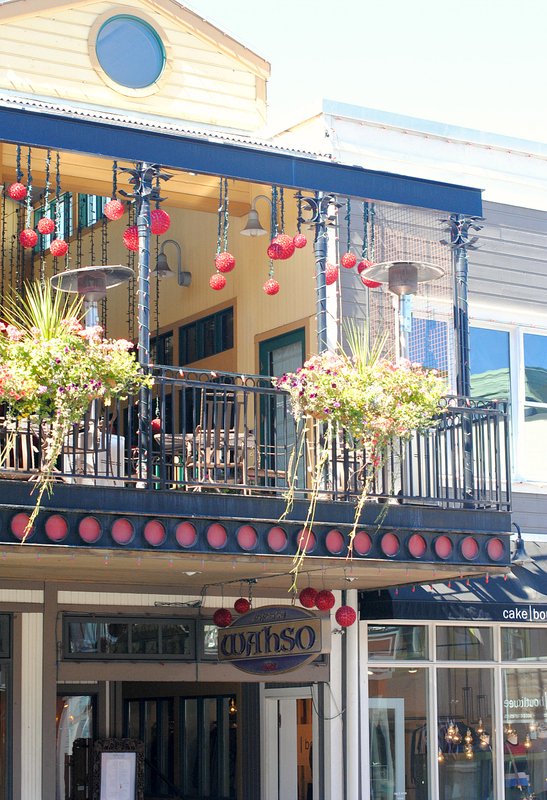 Wahso is located on Park City’s Historic Main Street. 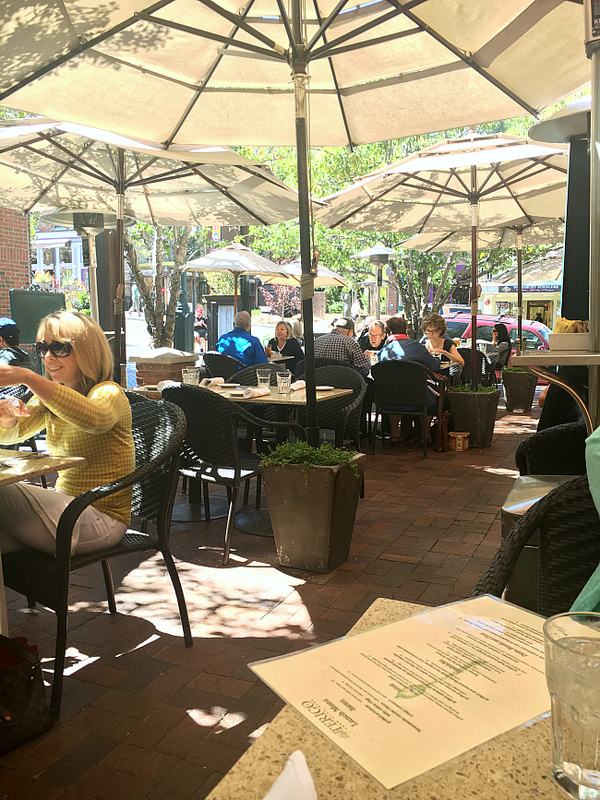 With a balcony overlooking Main Street, we love to sit outside so we can enjoy the view. This is Danetta’s favorite meal at Wahso…their version of “Beef and Broccoli”…it’s delicious! 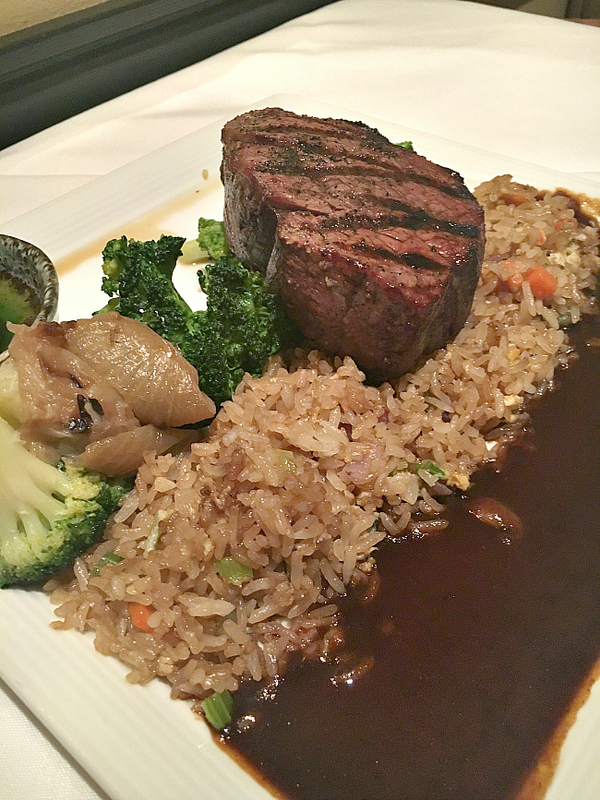 The steak is tender and always cooked to perfection, served with broccoli and fried rice. And the best part, it’s also served with brown butter!! If it wasn’t socially weird, we would have licked our plates clean! One more thing to love about Wahso, they offer a buy one entree get one free. You can look online under Bill White Restaurants or check in the Park City paper, they always have a coupon. 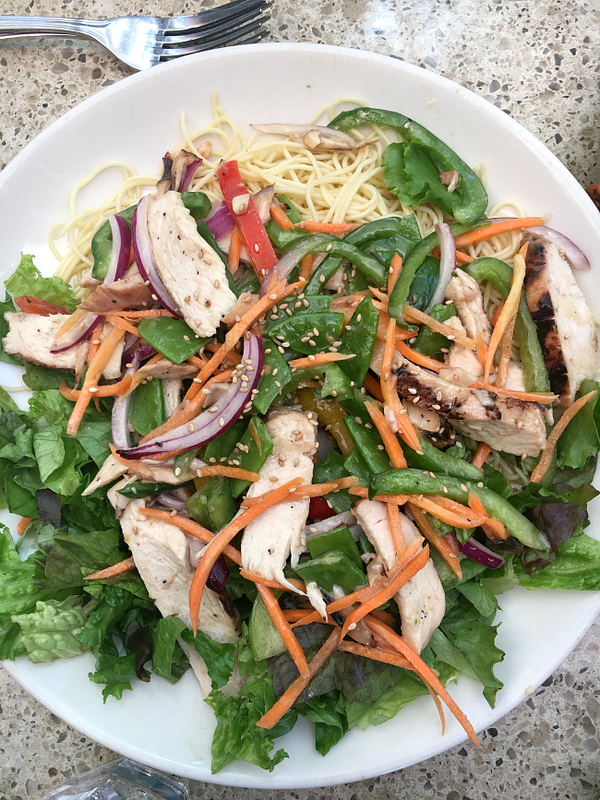 I promise it’s totally worth the extra work…the meals are around $50 a plate! Boneyard was actually recommended to us on this trip by the concierge at the hotel. It’s not a restaurant that either of us had tried before (well that’s obvious for Amber since this was her first trip to Park City), but it came highly recommended, so we headed there. And BOY were we glad we did! 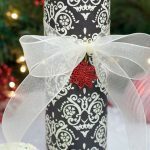 This is Amber’s favorite place that we are recommending. And Danetta loved it too! It’s a fun, quirky restaurant with two sides to choose from to eat. One is more bar/saloon style and the other is more cafe/bistro. We chose the cafe/bistro side and actually sat on the roof to eat and it was gorgeous. But the food! They’ve got all kinds of quirky pizzas. 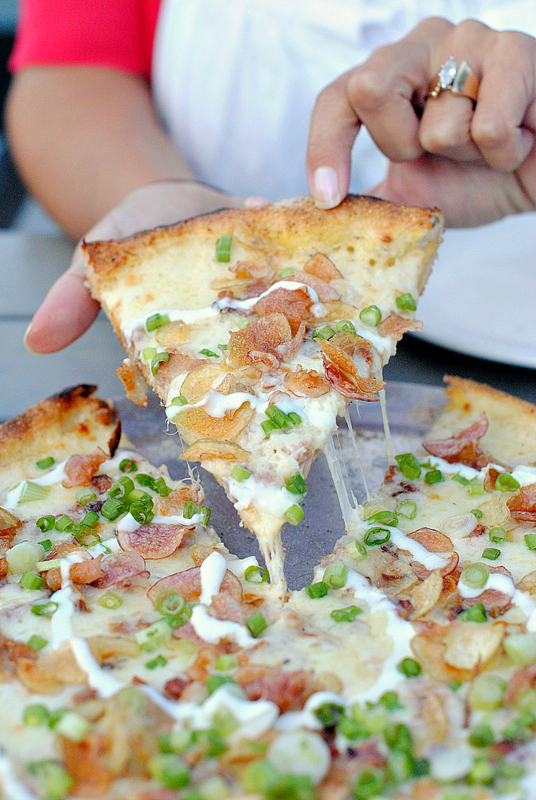 We tried the baked potato pizza. We’ve never had anything like this and it was SO good. We gobbled the whole thing up because we just couldn’t stop eating it! But there were a bunch of other pizzas on the menu that we’d like to go back and try sometime! We also split a burger that was phenomenal and the fries? Perfection! Seriously overate at this meal because it was just so good. Think American food that’s extra good when you hit Boneyard. Plus a fun, casual atmosphere. This was a great place for a casual lunch. We ate outside under the umbrellas and it was perfect. Super casual, friendly service, and a fun menu. Danetta ordered the Mac & Cheese and it was no ordinary bowl of Mac & Cheese. 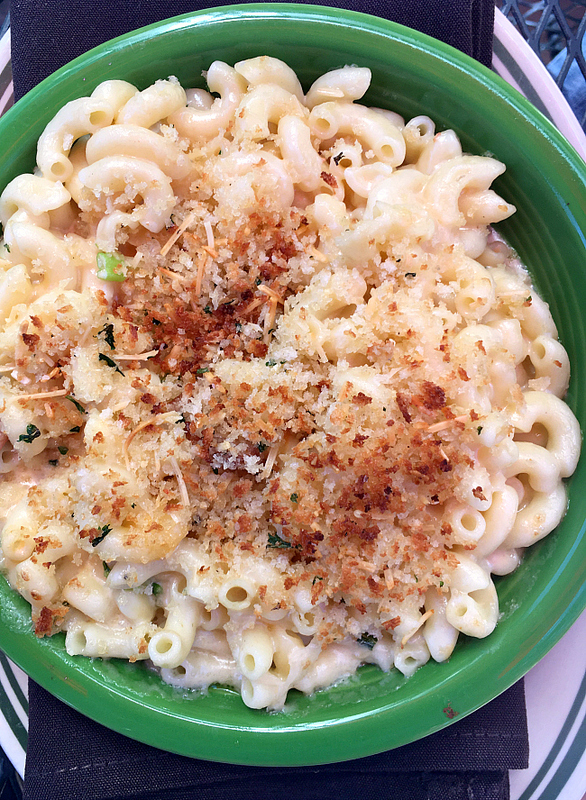 This had four different cheeses, bacon, spices, and topped with crispy bread crumbs…can you say YUM?! Amber went for a Turkey Bacon Sandwich and French Fries. She loved her sandwich and it was so big she could only eat half of it. 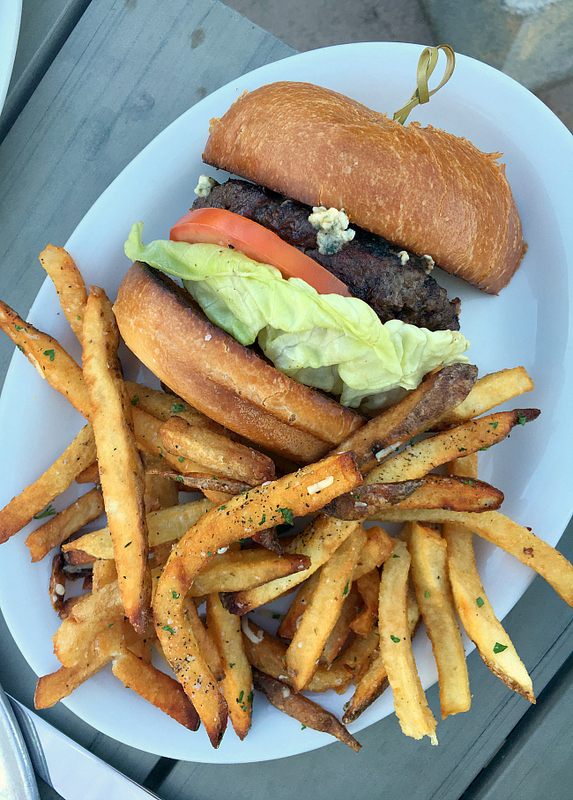 If you’re looking for a casual lunch spot…we would recommend this one! 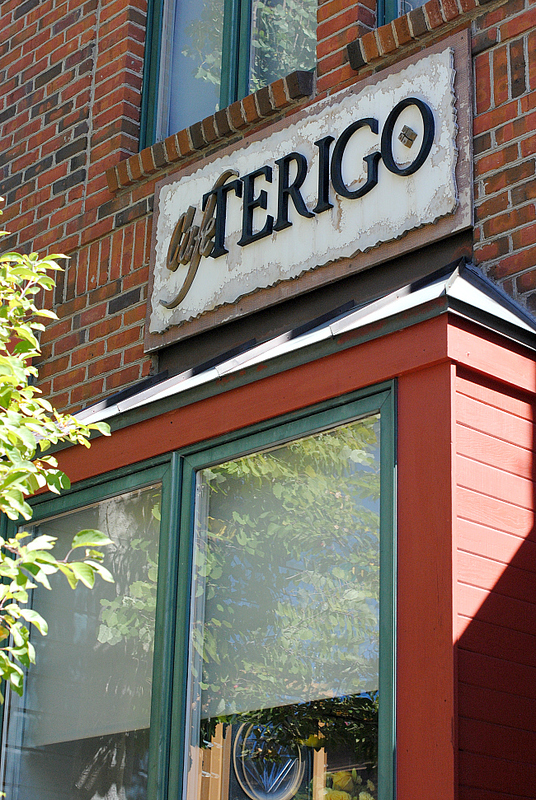 Cafe Terigo is located on Park City’s Historic Main Street. Danetta has been to this restaurant many times and recommended it. We were not disappointed. They have a fun atmosphere and a unique menu. This is their version of a ham and cheese sandwich. They spruce it up with arugula, ham off the bone, and Colby Jack cheese. It was served with an apricot-mustard which was super delicious! 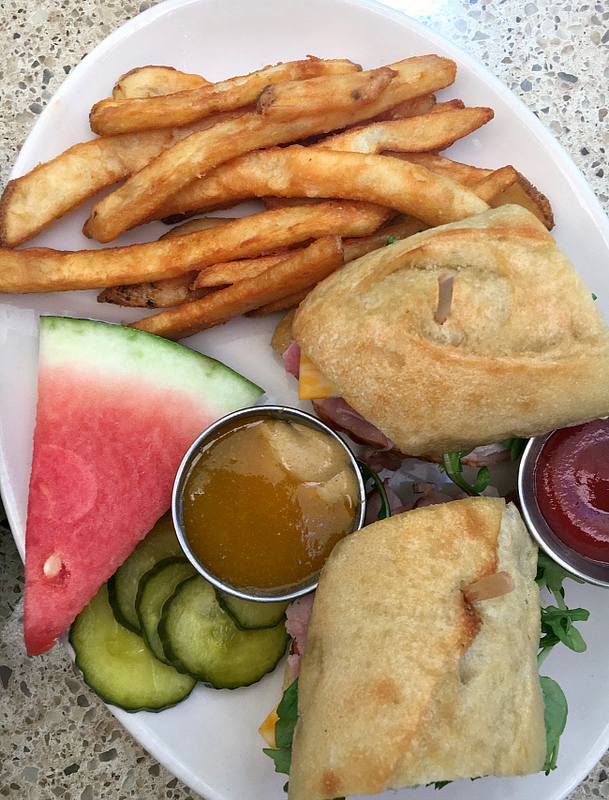 This is one ham and cheese sandwich worth ordering again. Amber ordered their version of an Asian salad. It is served on a bed of pasta which added some fun to the dish. Amber loved this salad (and she is picky about her Asian salads, so it’s saying something). We ate out on the patio here and it was heavenly. We would definitely repeat this meal! We’d love to hear if you’ve been there and what your favorite things to do and to eat are! 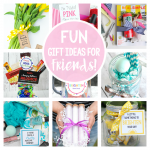 Have a FUN trip to Park City and trying all these fun things to do and places to eat in Park City! Man! I can’t wait to go and try these restaurants. I have only been to Wahso which I agree is amazing! Can’t wait to try the others! Thanks guys!